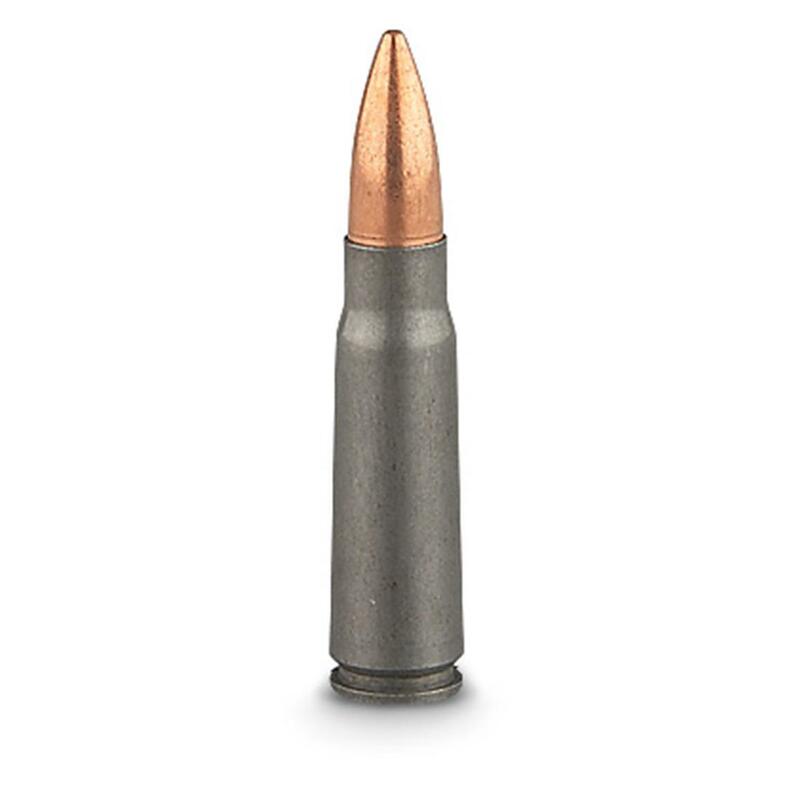 Head down to the range ready to let loose with this Wolf FMJ Ammo. Wolf's specially formulated PolyFormance coating ensures a smooth feeding and extraction. Grab your straight shooting 7.62x39mm Ammo, at the quantities and prices you need to stock up! Get ready to hit the range and order today! 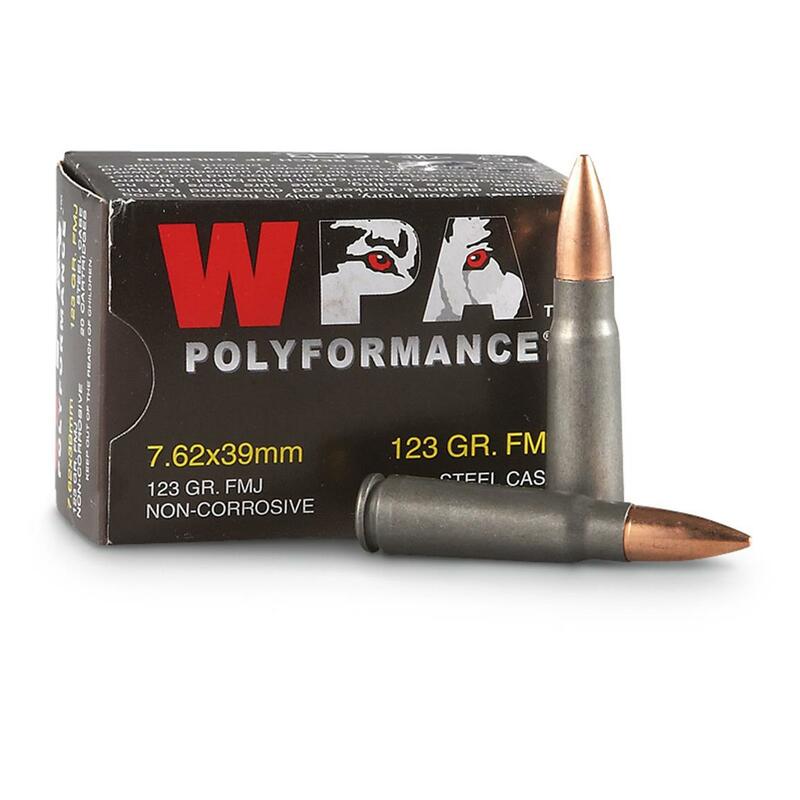 Wolf WPA Polyformance, 7.62x39mm, 123 Grain, FMJ, 240 Rounds is rated 4.7 out of 5 by 47. Rated 5 out of 5 by Cindysyl from Great price! Rated 5 out of 5 by John from Good Value Have only fired 50 rounds at this point but all fired with no misfires. Rated 4 out of 5 by Walliford from Low Cost Plinking I use WPA 7.62x39 ammo in my Ruger No. 1 single shot and CZ 527 carbine for shooting 12x12 inch steel plates set from 100 to 200 yards. I have not had any problems with extraction, ejection, or failure to fire. The ammo is accurate enough to hit the distant plates with regularity. Ideal for hunting or the range with your AK or SKS.